Find out how you can use social media to control the use, modification, and distribution of digital media content related to your brand. Avoid sifting through 99% of meaningless chatter. Simplify your intelligence process using our sophisticated algorithms. In the office or on-the-go, the Digital Media Monitor provides you powerful tools to help you track every mention about your brand or products. Social media has become a powerful tool for communication. 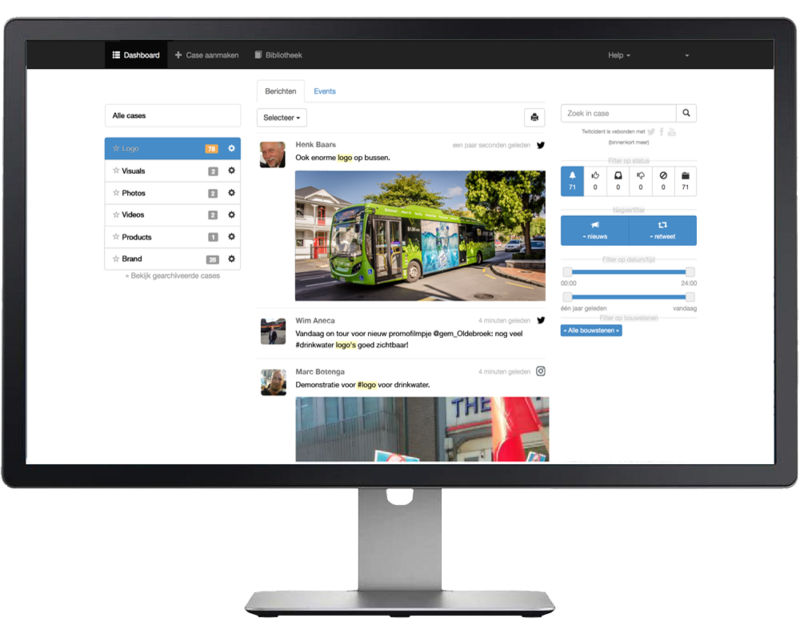 The Digital Media Monitor gives you real time access to mentions about your product or brand across billions of interactions on Twitter, Instagram, Youtube and Facebook. Discover instantly what people share and take action when your copyright is being violated. In your real time Digital Media Monitor you find all the social media content that is interesting for you. To keep you informed when you are out of office, the monitor will send automated alerts when thresholds are exceeded. Information is categorized based on relevant themes. This will save you tremendous time processing thousands of online posts, when only a small part is truly relevant. Take action quickly. Follow-up on violations of your copyright before it’s to late.